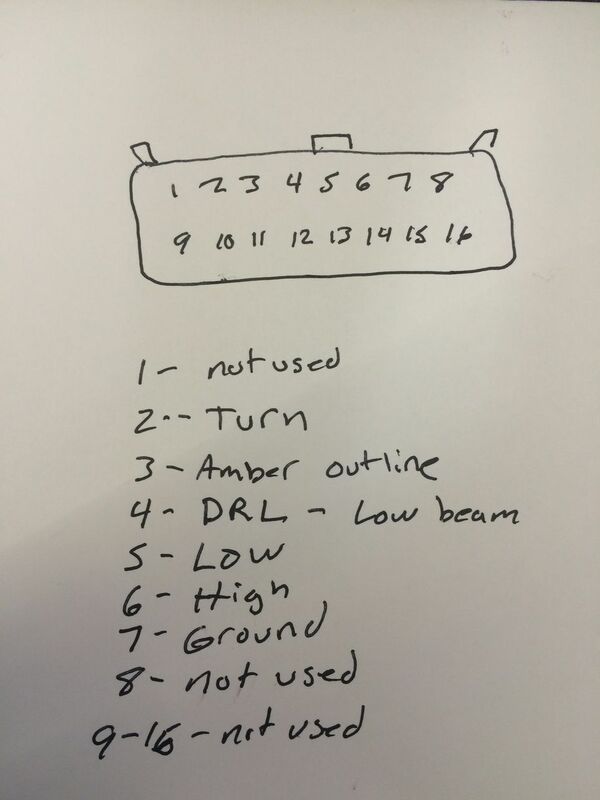 Does your 2015+ F150 have factory equipped LED headlights? We just need to change your quick tap connection points. 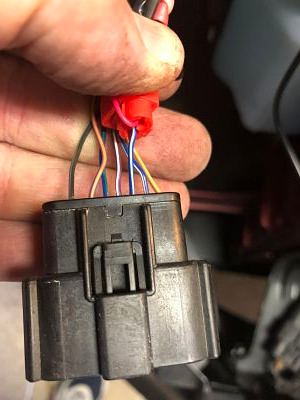 Instead of connecting to front marker lights as shown in the video, you will quick splice to your headlight connector using PIN 7 for ground (typically black) and PIN 3 for power (typically red or blue/purple but PIN location is what is important, not wire color). Please reference the guide below for your PIN connector. Thanks to Charles R. for providing the pic below! To make your connection WITH OUT removing the LED headlights follow the instruction below. You can access the LED headlight unit's rear plug location from the left front wheel well. Remove just 3 screws, two push pins of the wheel well shroud and then the plug is accessible about one foot above your hand. Release the clip on top of the plug and bring the plug to the top of the engine compartment and make your connections to the 3rd and 7th wires. It is much easier than removing body parts and all those screws holding the LED light unit in place. Much less time and trouble!